Now there's no excuse to ever be without power in your home with the Energizer range of household flashlights. 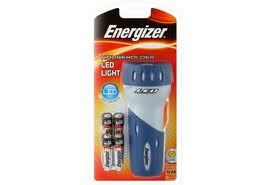 Energizer has easy-to-use, dependable flashlights for the whole family. This range of high quality, performing flashlights are perfect for everyday home use as well as for that unexpected emergency.